Some of us grow up loving the library, attending storytimes and book clubs, and browsing the stacks on a lazy Saturday afternoon. Some of us fall in love more gradually -- wow! I can’t believe the library brought in my favorite author to talk about her latest book! And some of us might still need a little wink wink nudge nudge to light that spark of loving the library. Well, we’ve got a couple winks and a few little nudges that are yours for the taking. By now, you’ve probably heard us (and everyone else in Library Land) talk a lot about linked data and what it can do for your library. Whether it’s in the form of a Cinderella story, a webcast relating success stories, or delving into the nitty gritty, the proposition is the same. Linked data makes your library more visible and accessible to everyone in your community. Or, put into terms that match with the theme of the month -- linked data turns random internet browsing into a love affair with the library. Skip all the back and forth and get right to the good part; a few clicks can turn a mildly interested reader into an ardent library patron. Now that’s an affair to remember! Linked data might be the latest way to get the word out around the community, but don’t forget about your tried-and-true stand-by: the humble, reliable newsletter. With tools like LibraryAware, it’s easier than ever to makeover your newsletters from stale and stodgy to fresh and modern. 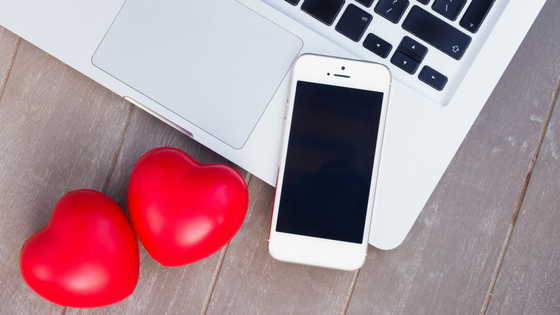 Make sure you register for our Valentine’s Day webcast: Newsletters Made Easy(ier) and snag some hot ideas and insights for leveraging your newsletters to attract more of your community to your library. Even if you can’t attend the live webcast, go ahead and register anyway to make sure you receive the recorded version to watch at your leisure. Or, if you’re just looking for some quickie inspiration, take a look at some of our favorite examples of newsletters we absolutely adore. While you’re in the mood to learn from others, stop by the Inspire section of the Idea Center. Whether you’re looking for more ideas on spicing up your newsletters, increasing patron awareness of the library, or improving staff skills, there’s a success story from another library that might serve as a jumping off point for a new initiative at your library. Or, share something amazing that you’ve done and spread the love! You might have seen some emails or social media posts from us about the 2017 version of The Secret Language of Books or our newest digital publication, A Guide to Genres and Book Discovery. Think of these handy little booklets as our love letters to readers, to library workers, to anyone who wants to discover great books to read. So download, read, and share!